For someone with a physical disability, like those often caused by living with cerebral palsy, getting out and enjoying nature is more of a challenge. To do the kinds of things that non-disabled people do without even thinking about it requires many more steps, as well as accessibility accommodations, and even adaptive equipment. To set up a tent or to hike an easy trail may seem ordinary to someone else, but to a child or adult with cerebral palsy it may feel daunting or even impossible. Spending time outdoors, enjoying parks and trails should be something that everyone can do, and it is possible. You just need to know where to find accommodations and how to ask about accessibility. First, it’s important to understand why being disabled should not prevent anyone from getting outside to enjoy fresh air and activity. Researchers have found that there are important mental and physical health benefits to spending time outside, not just being active, but also just the act of being in and observing and experiencing nature. Anyone, but particularly someone living with the limitations of cerebral palsy, can benefit from the mood boost and other health effects of being outside. One study, for instance, found that just five minutes spent being active outside, causes significant improvements in self-esteem, mood, and depression. Another study found that even an easy walk in a park or any natural area outdoors can reduce signs of depression in the brain. Sunlight is also proven to boost mood and reduce depression and anxiety. While being active adds to the mood boost and physical health benefits, simply being outside in a natural area is enough to help us feel better. That means that someone with a physical disability doesn’t need much, just access to nature, parks, and natural areas. If you have a child with cerebral palsy, you want to give him the best life and that means providing access to parks and nature. That can be really challenging if your child needs a wheelchair to get around, or even if he uses a walker or other device. Regardless of the type or degree of physical disability, getting outdoors is more challenging for you and your child. It’s worth it, though, to find out where you will have access and to make the effort to get there and enjoy being outdoors. Most parks will list accessibility on their websites, but if not, a quick phone call should give you the answer you need. Many parks, especially state and national parks have at least some trails that are paved so you can get around in a wheelchair or with a walker. These trails go into natural areas so you can enjoy nature and the outdoors even from a wheelchair. National parks are great for anyone with a disability because they provide accessibility at every location. It is a requirement of the Americans with Disabilities Act and other laws that these federally-funded parks are accessible. The goal of the National Park Service is to make their activities, programs, and parks as accessible to those with disabilities as anyone else and to ensure as much integration as possible. The Park Service is currently in the middle of a five-year strategic plan to make the parks even more accessible. The parks are also free to any American with a permanent disability. Planning a trip to a national park is a great way to get outdoors with your disabled child. Start by visiting the park website, which will describe all accessibility measures. For example, at the Yellowstone National Park website you’ll find a list of nine areas of the park that are fully accessible. There is also information about visual and audio assistance and for contacting the park accessibility coordinator who can provide more information and any needed accommodations. Camping is also a great experience for anyone, including a child with cerebral palsy. Instead of just an hour or a day in nature, camping provides a more immersive experience. The United States Access Board outlines guidelines and provisions for making outdoor recreation, including camping, accessible. These include things like providing plenty of space for mobility, integrating accessible campsites with standard campsites, non-sloping tent platforms, adequate parking space, and more. 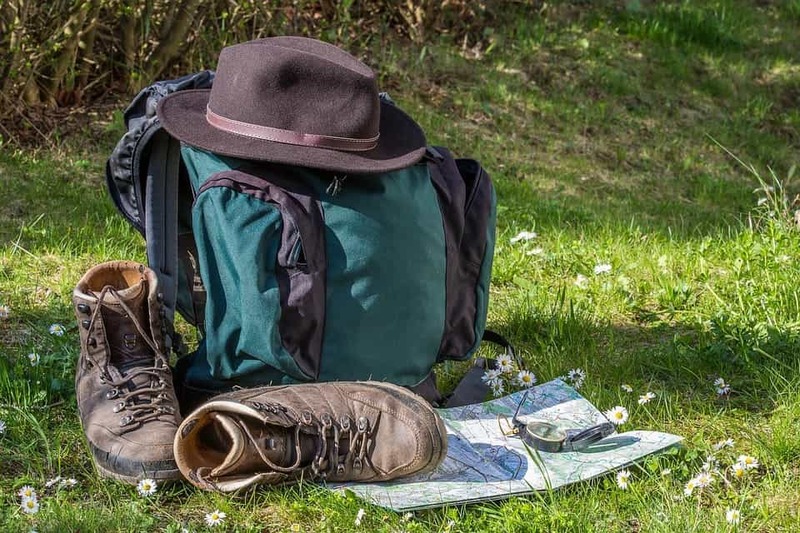 When planning a camping trip, it is best to ensure that the locations you are traveling to have accessible campsites that meet these guidelines. It is also a good idea to reserve an accessible site in advance. Many campgrounds are first come, first served, but accessible sites should be available for reservations for those who need them. There are non-profit organizations that help children and adults with disabilities like cerebral palsy have experiences like everyone else does, including outdoor activities. For example, the group called Wilderness on Wheels helps people of all abilities get access to nature and outdoor activities, including camping, hiking, and fishing. The group is based in Colorado and provides a setting deep in the woods and high in the mountains, dedicated to being accessible to all. Another organization is called Splore. Based in Utah, this group provides adapted adventures in the outdoors for all ability levels. Their activities include whitewater rafting, climbing, skiing, snowshoeing, canoeing, and paddle boarding. The group organizes the activities and provides the adaptive equipment that makes it possible for anyone to participate. The guides and staff are experienced and specially trained for working with people of all abilities and with a variety of limitations. The benefits of being outdoors, being active, and being able to participate in adventures cannot be overstated for a child with cerebral palsy. These outdoor experiences are good for everyone, and no one should be excluded from being able to participate. If you have a child with cerebral palsy, you can give her outdoor experiences. It may take a little extra planning, but it can be done. Find the parks with the best accessibility, campgrounds that have accessible sites available, and the organizations that go to great lengths to make sure all children can participate in exciting, educational, and empowering outdoor adventures.